Studies show that approximately 70 percent of men worldwide are suffering from some degree of male pattern baldness. When it happens to you, there are a few options available. Do nothing and just “go with it,” shave your head and move on, or do something about it. South Coast Hair Options works with each client as an individual to help regrow hair in the Greater Boston area. It is important to understand that what works for one person will not necessarily work for another. While there are proven hair loss solutions for men, there are many different factors that must be considered. Environment, lifestyle, stress, health conditions, family history, and the unique growth and curl patterns of your natural hair are just some of the things that are examined. When you come to our Greater Boston hair loss clinics, we will start by giving you a FREE scalp evaluation to help determine the underlying cause of your hair loss. Greater Boston hair loss remedies will only work for you if they target the specific type of hair loss that you are experiencing. That’s why your friend’s $50 investment in over-the-counter shampoo worked for him but was a waste of time and money for you. It’s time to quit guessing and take a strategic approach to hair loss solutions for men with South Coast Hair Options. Our unique methods, which include Corrective Hair Solutions (CHS), a proven treatment option for men all over the world, can help you look and feel like yourself again in no time. When someone starts looking around at options to cure male pattern baldness, they will often be greeted with a lot of weird ideas that promise instant results. Not only are there the late night as-seen-on-TV type commercials that feature laser helmets, special combs, and ancient herbal treatments, but there are lots of DIY remedies as well. It is important to avoid wasting your time and money on these so-called solutions that just won’t work. 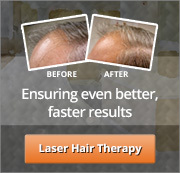 The sooner you can visit our Greater Boston hair loss clinics, the sooner you will get real hair loss solutions for men. Don’t risk your health, safety, wallet, or sanity on these strange recommendations that you find online. While hair loss can be frustrating, it’s best to make sure that you don’t lose your mind and try one of these weird remedies. South Coast Hair Options has clinically proven and FDA-approved methods to regrow hair in the Greater Boston area. Our combination of Corrective Hair Solutions (CHS) and Virtual Reality opportunities help our clients to look and feel their very best. Our technicians will provide you with options design to suit your lifestyle, needs, and budget. Stay away from these crazy “old wives tales” and “social media solutions” and stick to what works: our Greater Boston hair loss remedies at South Coast Hair Options. After we have completed the initial scalp and hair evaluation, asked you questions that pertain to hair loss and your family history, we can start the treatment process. 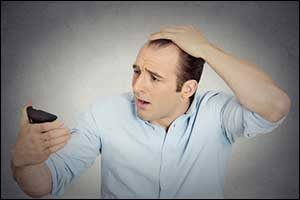 It is important to understand that real male pattern baldness has nothing to do with chemicals, the food you eat, or the stress that you experience in your life. Those things can cause some types of hair loss, but true male pattern baldness is responsible for a majority of male hair loss cases. It is a genetically inherited inability of the scalp to break down a byproduct of the testosterone hormone properly. It isn’t about what shampoo you are using or not using, the type of hat that you wear, or even the style that you comb your hair into, it’s about genetics. The amount of hair that you lose, where you lose it, and the pattern in which your hair recedes will depend upon your genetics. Each individual is different. The rate of hair loss is also affected by genetics. A hairline restoration solution that has been devised specifically for your type of hair loss is the best course of action at our Boston hair loss clinics. In truth, it is the only way to regrow hair in the Greater Boston area if you suffer from true male pattern baldness. Our technicians can help you choose the best possible hair loss solutions for me based on your individual needs. Start by calling us at 508-995-7085. We will provide you with a FREE consultation and scalp evaluation. You can also stop by our location on Acushnet Avenue in New Bedford, Massachusetts and speak to our staff in person. Take the first step in getting the head of hair you've always wanted. Get your free consultation today.